You must declare all overseas income from these sources in your Australian tax return. 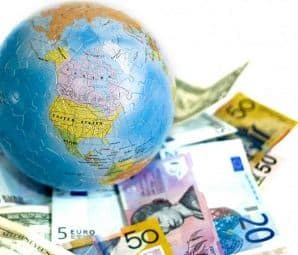 If you have paid tax on any of this overseas income, you can claim a foreign income tax offset in Australia. If you have interests in a foreign company, trust or life insurance policy, include income you receive from them in your tax return. This income can be attributed to you even if it hasn’t yet been distributed. Jenny is an Australian executive in a large corporation that is based in Hong Kong but also operates in Australia. She buys shares in the parent company because she’s confident about the company’s prospects. Jenny regularly travels to Hong Kong for work and, after making the investment, she opens a bank account there. She intends to use any future dividends as additional spending money during her trips to the country. In her next tax return, Jenny fails to include a HKD $6460 (AUD $1000) dividend she received. It is her first overseas investment and she is not familiar with the reporting obligations. Later that year, Jenny discovers that she must declare all dividends and interest from overseas. She calls the ATO and asks for her tax return to be amended to include the income amount she left out. After she explains that she didn’t intentionally omit the overseas income, we decide to waive the penalty amount. But she still must pay interest charges. You must include rental income from overseas properties in your Australian tax return. This income is the full amount of rent and associated payments you receive or become entitled to when you rent out your property. It doesn’t matter whether it’s paid to you or your agent. If you receive associated payments in the form of goods and services, you’ll need to work out their monetary value for your Australian tax return. Your rental income includes any assessable amounts you receive relating to limited recourse debt arrangements involving your rental property. If you have paid tax in another country on your rental income, you can claim an foreign income tax offset in your Australian tax return. Feng and his family will move from Singapore to Australia permanently under an employer-sponsored arrangement. Feng and his wife Min have a joint bank account in Singapore which they have decided not to close. They will also rent out their apartment in Singapore. The rental income is deposited into the locally held account. Feng and Min visit a tax agent – Sandra – before the end of the financial year. Sandra asks them about their earnings and assets. Feng tells her about the rental property and offshore bank account. When preparing the couple’s tax returns Sandra includes the rental income they received from the apartment in Singapore under the foreign source income label. She also lists each spouse’s share of bank interest (that is, 50%) from the joint account. Feng and Min already paid tax on the rental income in Singapore. There is a double taxation agreement in place between the Singapore and Australia, and they are able to claim a tax offset on the tax already paid in Singapore. When the returns are processed they each receive a refund. As an Australian resident, you are generally taxed on any capital gains you make on overseas assets – for example, when you sell an overseas property. You must report the gain in your tax return. If the gain is taxable in Australia and you’ve paid foreign tax on it, you may be entitled to a foreign income tax offset.